On February 1, the MS-Digital Innovation in Marketing's third cohort received their diplomas! It was great to see everyone who could attend from near and far in Alter Hall for the pre and post celebrations and the graduation ceremony itself. These students represent a super successful class with 5 members … Continue Reading... about Congratulations! 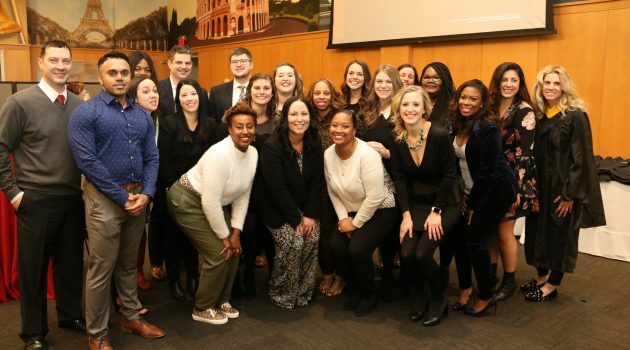 On February 1, the MS-Digital Innovation in Marketing's third cohort received their diplomas! It was great to see everyone who could … Continue Reading... about Congratulations!